Today I managed to get the bulk of the Christmas shopping done. Just one more gift to buy (I did have three hand made gifts and a few things bought in PNG which reduced the number of gifts needing to be bought here). I did have a knitting finish before we left PNG. Unfortunately, I’ve left the cable that lets my camera talk to my computer back in PNG, so until I can work out a solution to that there will be no pictures. I’ve given myself this week off from working on my thesis, but will be hitting the books again once Christmas is over. I’ve spent the last few days working on this little fellow. If you’d like to make your own you can find the free pattern here. It doesn’t use much yarn. 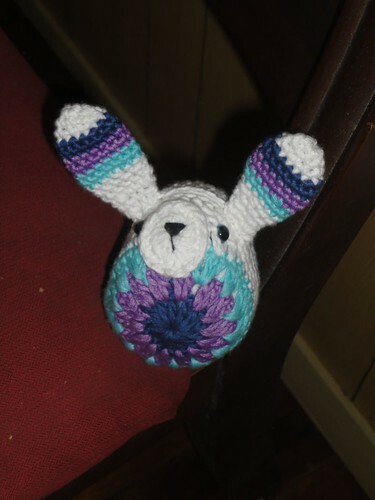 The one modification to the pattern I made was to line the body of the rabbit with fabric before sewing it together. Gorgeous Girl has been helping me make Christmas cards. She chose the two background papers for this one. I think it works in a weird kind of way, and the summery island feel to the paper is entirely appropriate to an antipodean Christmas. 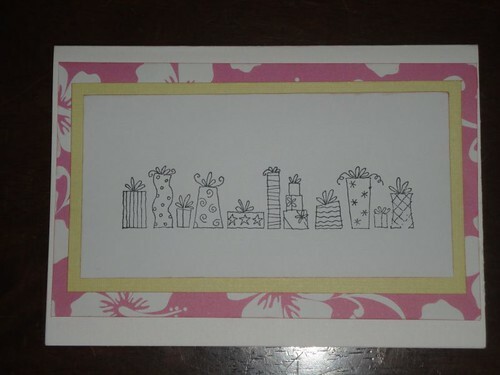 The stamp is from a Stampin’ Up set that was a gift from my good friend Kerin a few years ago. It comes with ornaments too. I probably should have torn the centre paper instead of cutting it. I’m not sure it works in it’s current form. 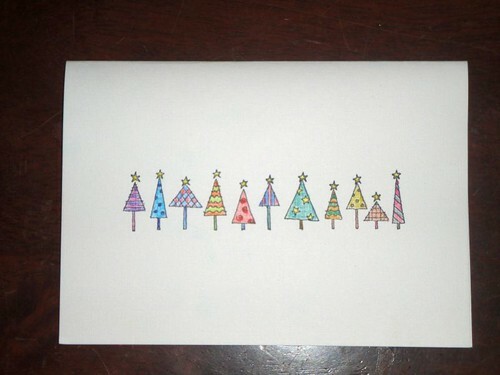 I think I’ll do the rest of the cards like this. I coloured this one. Gorgeous Girl has been colouring some of the others, but they went to her teachers before I got a photo of them. Nice and simple and quick to do. My current crafting goal is to get my beaded yarn plied and off the spinning wheel before we head to Australia. I’d also like to get some more done on Gorgeous Girl’s new quilt and make her another pillow case for Christmas before we head off…Not sure if I’ll get all that done. We will be spending part of December here in Papua New Guinea and then flying to Australia for our annual leave and Christmas. Gorgeous Girl has an Advent Calendar every year. However, it is a very large wooden train with drawers and it isn’t practical to put it in the suitcase and take with us (particularly since we always seem to gain a LOT of luggage when we are in Australia). 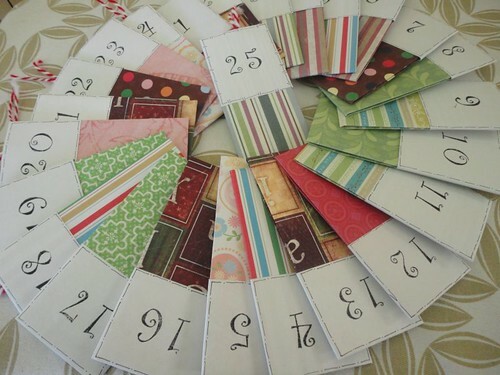 In an effort to maintain some continuity in her life I made a transportable Advent Calendar. 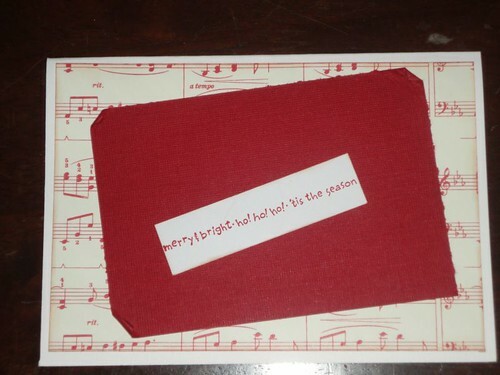 If I was in Australia I would have gone to the store and bought a co-ordinating line of paper to make this. But I’m not, so I had to work from stash. Folded bags that don’t require glue. 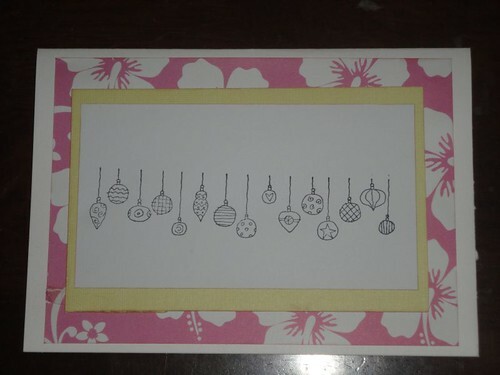 Then I stamped on the numbers and hand drew the edging. She’ll get lollies (candy) in the Advent Calendar while she’s here in PNG. The Australian ones are more experience based “go shopping for Daddy’s Christmas present”, “eat out; your choice where” kind of thing. She’s pretty excited about it (though she doesn’t know what’s in there). So that’s good. Ages ago I won a prize from Molossi through an online competition run by Frosted Designs. I had the prize sent to my SIL as we have some concerns with the security of post coming up here. I picked it up when we were in Australia recently. Lots of lovely things, bigger than I’m used to, so now I need to find some time to play with them. 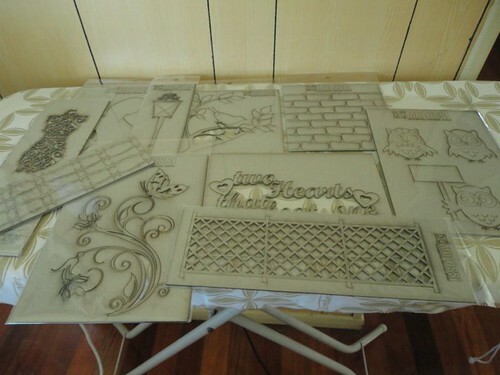 Any advice on what to use to colour the chipboard? Speaking of lovely things. I received a gift card for my birthday in October. I finally had opportunity to use it. 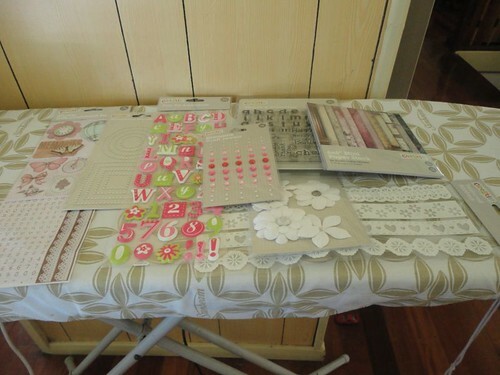 I picked up a few goodies for scrapbooking. Add this to the lovely die-cuts I received for my birthday from SIL and I’ve got a heap of new inspiration to play with. Now I just need to find the time to sit and play. We’ve been back from our quick trip to Australia for a while, but we have had very intermittent internet connection at home which has made blogging difficult. I passed my mid-thesis review. Next goal is to have both chapters of the thesis written for submission in May and then I’ll work on the final draft of them and the introduction and conclusion for final submission in November next year…Lots of work ahead. 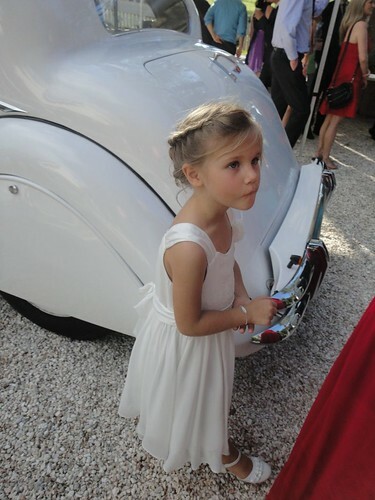 Gorgeous Girl was a flower girl in a wedding. She was truly gorgeous. Here she is making her grand entrance. 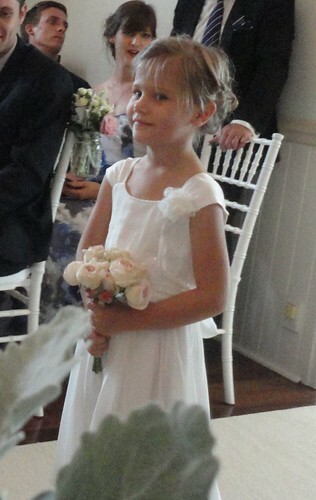 As the youngest of the three flower girls she came in first. 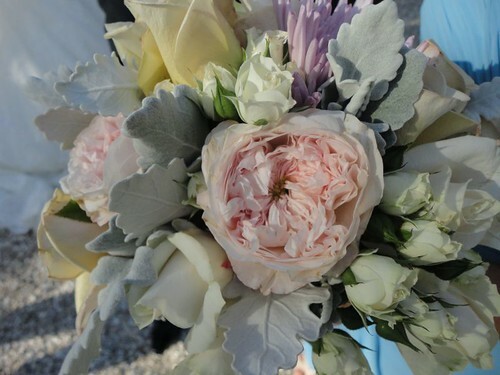 This bouquet belonged to one of the bridesmaids – it was just beautiful. Roses and leaves from Australian trees. 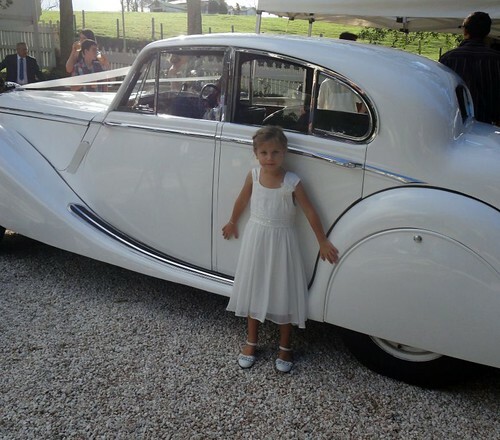 This was the wedding car. She was a bit disappointed she didn’t get to ride in it. I have a terrible rash on my arms and hands which has put a stop to all knitting and crocheting until it heals up. I have done a bit of paper crafting and Gorgeous Girl and I are planning to work on our Christmas cards today. While in Australia I picked up my prize from Molossi that I won earlier in the year. My long-suffering SIL has been holding it for me, I need to think about how best to use it.